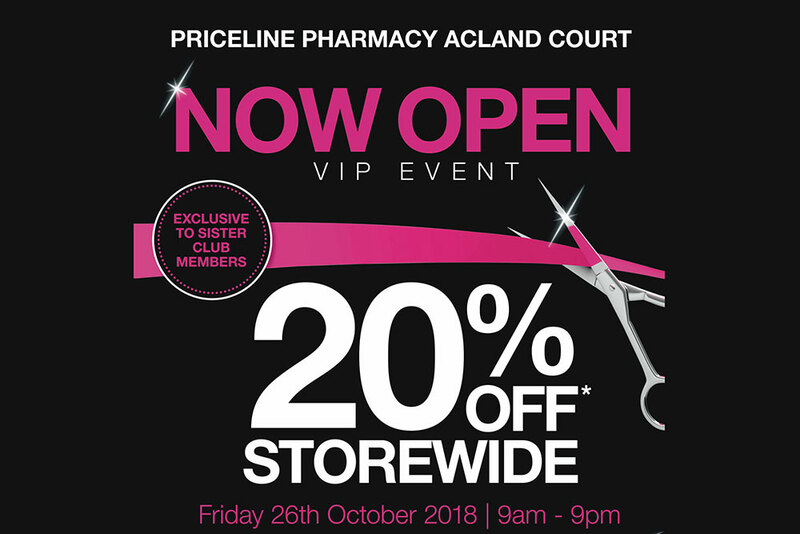 Grand Opening of Priceline Pharmacy at Acland Court!! Friday, October 26th from 9 am….!!! Everyone is welcome! !